Western Conifer Seed Bug (Leptoglossus occidentalis): This species of true bug (order Hemiptera) is native to North America west of the Rocky Mountains but has expanded its range into portions of the east and has become an invasive species in Europe. 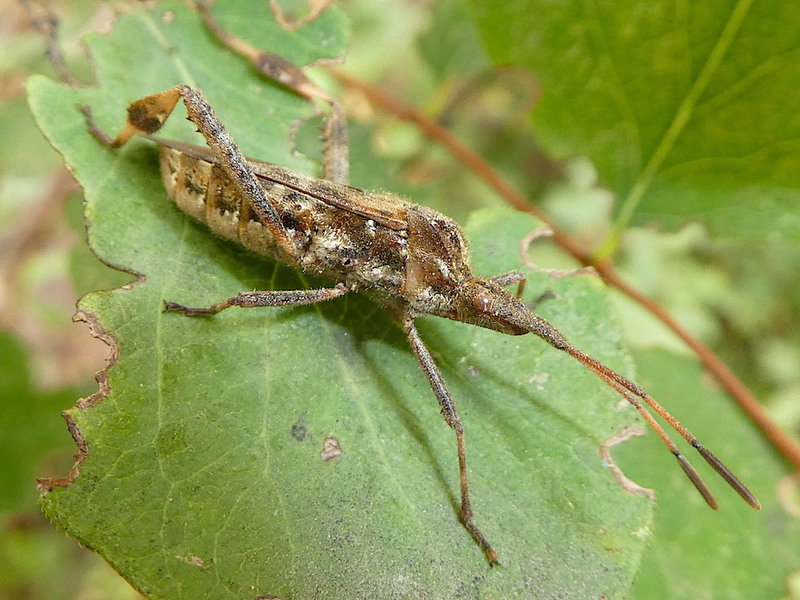 It’s a type of leaf-footed bug that feeds on sap from developing conifer cones (Lodgepole and Douglas-fir). At this time of year they become very noticeable as they begin to look for warmer, protected places to overwinter — often in your home. Photo by Glenn Marangelo on 9/24/18 in Missoula, MT.